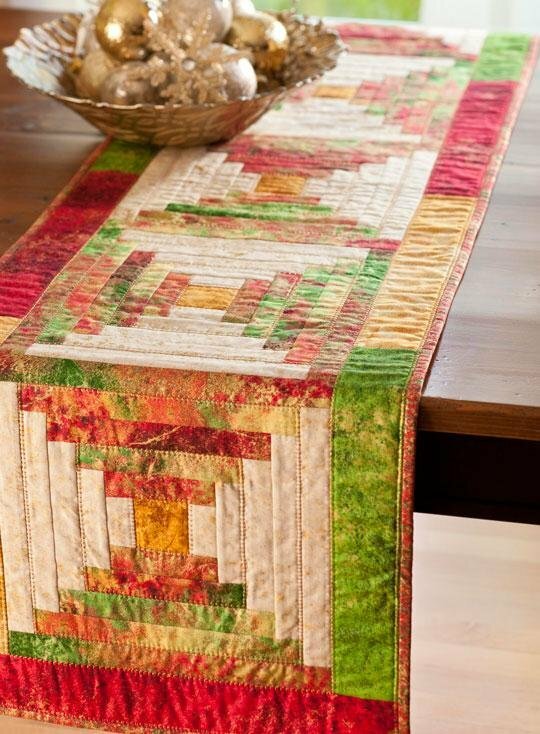 This project comes to us from All People Quilt, and is actually just the first in a wonderful group of table runner projects from them for the Holidays! We love table runners, especially around the Christmas season, so if you're pressed for time and can't squeeze in a full quilt, jump into this project or one of their other ones and have some Holiday fun! Enjoy! View the original article here for the whole series of table topper projects. Also, please note that this project is fully detailed through a series of web page tutorials (we love you, All People Quilt!) but it also has a downloadable PDF. To get the download, you will need to sign up for a free account with All People Quilt. We guarantee you'll love it!